This is the offical website for the Local IAFF 1624 Sanford Professional Firefighters and Paramedics . This site is undergoing changes so please excuse our apperance while these changes are being made. Happy Retirement: We wish a happy retirement to Captain Harold Smith. Captain Smith rode out his last shift on Halloween night. Captain Smith will not be going very far from us in his retirement. Captain Smith will be overseeing instruction of Fire Science at the Sanford Vocational Center. Best wishes in retirement Captain Smith. Welcome New Firefighters: Recently hired Firefighters Joseph Wilber, Jason Porter, and Sarah Jarvis have all started working on their assigned shifts. Joseph Wilber of Sanford previously served with the Portland Maine Fire Department and will be assigned to C Shift on Rescue 3. Jason Porter of Wells, Maine will be assigned to Rescue 3 on D Shift. Sarah Jarvis of Rye New Hampshire will also be assigned to Rescue 3. Best wishes to all new hires. Happy Retirement: Happy retirement to Captain Ron Grondin. Captain Grondin provided 44 years of service to the City of Sanford. Captain Grondin held many positions within the department and brought his skill and pride into each position. Captain Grondin retired as the acting Assistant Fire Chief. Best wishes in retirement. Happy Retirement to Al Noble. Al proudly served the communities of Sanford and Springvale for 34 years. 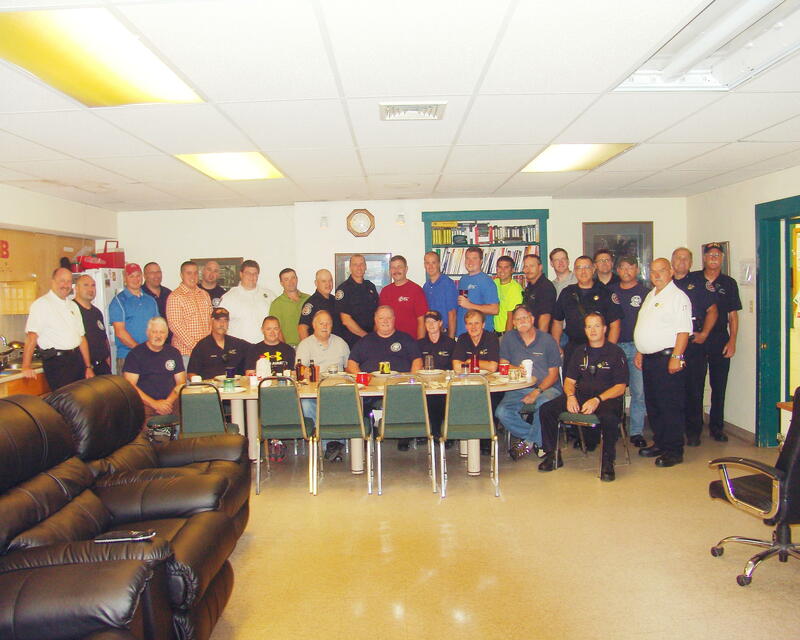 Al's last shift was followed by a breakfast with many department members in attendance. For those wondering, yes there was bacon! Sanford Fire Department is now streaming its radio channel online click the link below to listen. You may also download apps within your smartphone's app store to listen. FIRE MARSHALL PATRICK COTTER: (Appointed April 2014): Fire Marshall Patrick Cotter joined the Sanford Fire Department in September of 2013. Fire Marshall Cotter is actively involved in the community his office is located at City Hall.